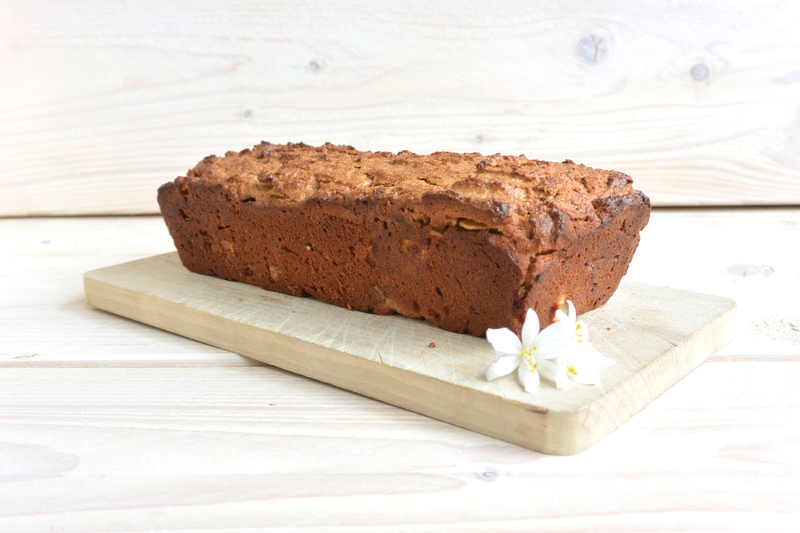 I made this cake by a recipe of Amber Albarda, a Dutch cookbook writer who works with natural ingedrients! She devoted one of her books entirely to baking recipes! 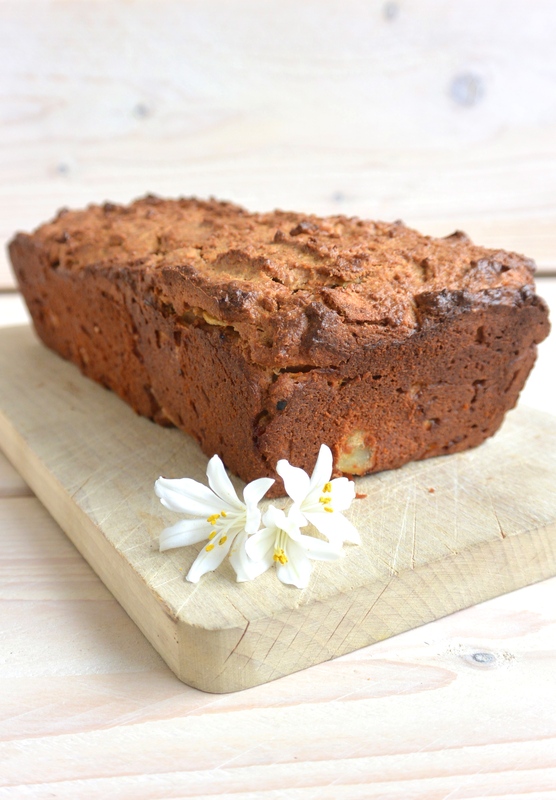 I tried and tested her Apple-Coconut Cake and I also gave it a little twist of my own! Perfect for a festive moment, in the afternoon with a cup of coffee or tea, but it’s also suitable for breakfast for example! It’s refined-sugar-free and dairyfree! 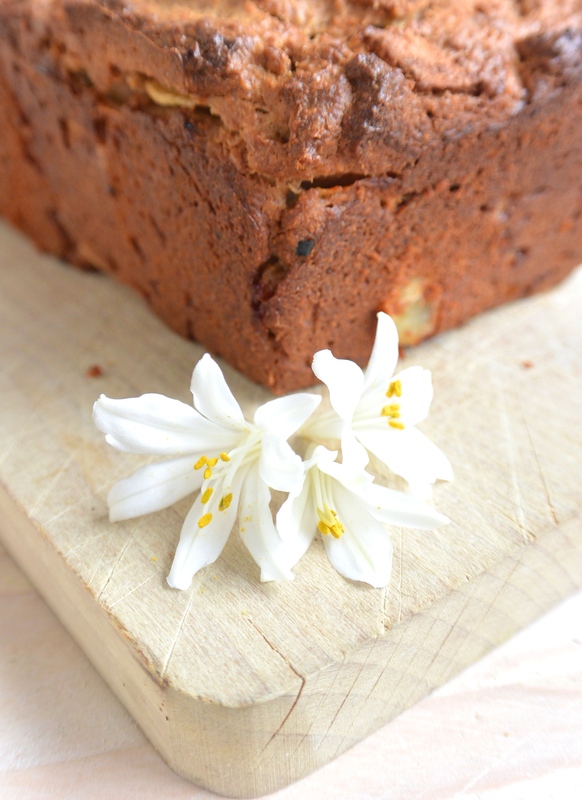 And instead of regular white flour, which has only very little nutrients left, this cake is made with speltflour and almondflour. Who doesn’t love a sweet treat once in a while? A yummy chocolate cake on your birthday, a vanilla cupcake with a cup of tea or a cookie! I think we must confess we all love that! And it’s not a surprise we all love it, cookies, cakes and other sweet treats are loaded with fat, sugar and other additives. Especially sugar and fat gives us a pleasurable feeling when we eat one of those sweet treats, and it makes us want more and more! High processed food, such as the cookies and cake that you can buy in the supermarket, contains a lot of ‘trans fats’. Trans fats makes food taste good (Well, it makes our brains think it tastes good), last longer but it’s also harmfull for our health! Research tells us that trans fats increase the risk of coronary heart disease and that it raises the levels of ‘bad cholesterol’. But luckily you can easily make very tasty cookies and cakes yourself, with natural ingredients that are much better for your health! To be honest with you, I love baking and cooking with healthy and natural ingredients but the end result can not always compete with the ‘original’ taste. But remember that those manufactured foods are very high in sugar, trans fats and additives and it’s those ingredients that makes them taste so good (and also makes them so bad for our health!). You might have to try the ‘healthy baked goods’ a few times to get used to their taste and texture; they are not as sweet as you might be used to and also their texture differs from their ‘unhealthy’ brothers and sisters. The healthy baked good might be less ‘airy’ and more solid compared to the store-bought goods. Please note that I think that there is nothing wrong with having a ‘store bought’ sweet treat once in a while! But I think we have to learn to use them in a moderate way. Remember that in the times of our ancestor these kind of products not even existed! Nothing wrong with getting used to a less sweeter and less (trans) fatty taste again! Preheat the oven to 180 degrees celcius. Mix all the dry ingredients in a bowl, mix well. Beat the eggs and mix with the almondmilk, maplesyrup, coconutoil and vanilla extract. Mix the dry and wet ingredients and combine well. Add the pieces of apple and stir well through the mixture. Grease a baking tin and put a piece of baking paper in the bottom of the baking tin. Add the mixture to the baking tin and place in the oven for an hour. The cake is ready when a skewer comes out relatively clean and dry. Let the cake cool down for about 10 minutes before removing it from the baking tin. The cake can be served warm as well as cold. Mix the coconutcream with 2 tbsp of agave syrup (or maplesyrup) with a handmixer until it’s smooth and fluffy (it’s best to chill the can of coconutcream overnight!) to make the coconutfrosting. Serve a slice of cake with a big spoonful of the coconutfrosting. What do you think about caking and cooking with natural and ‘healthy’ ingredients? How does the taste compare to their ‘unhealthy’, storebought version in your opinion? Please share your thoughts in the comments below! Posted in recipes, Snacks, Sweet TreatsTagged cake, fit, food, fruit, healthy, healthy food, healthy lifestyle, healthy snack, snack, sweet treatBookmark the permalink.